The Orlando Magic have been a successful franchise making 14 playoff appearances as well as winning 5 division titles and 2 eastern conference championships. Although they haven't ever won an NBA championship they have had their fair share of great players and great moments. They have also had some pretty sick threads to wear on the court since the team's inception in the late 1980's. 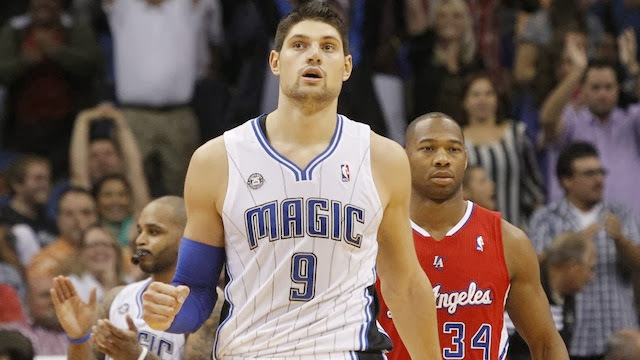 So with all that said we take a look back at Magic jerseys from then all the way up until now. For the entire 1990's the Magic sported their best look in franchise history as far as jerseys go. 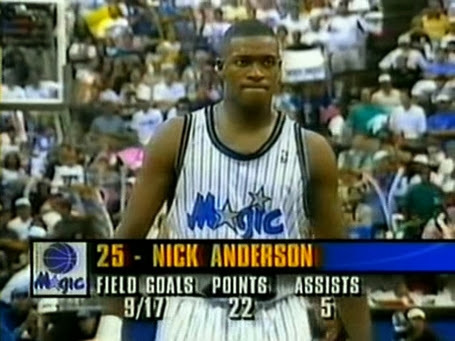 The 90's look of the Orlando Magic consisted of pinstripes and a star to replace the letter “A” on the teams jerseys. This look is the one that best players in franchise history have worn. Guys such as Penny Hardaway, Shaq, Nick Anderson and Dennis Scott proudly wore the black and blue of the Magic proudly as they were one of the most dominant teams in the east during the 1990's. 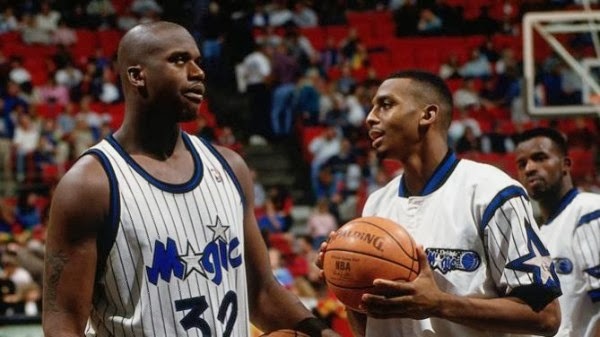 Shaq and Penny were as good as any tandem in the league during the 1990's, I sincerely believe that had they had more time to grow and [play with each other that Michael Jordan wouldn't have 6 rings right now. They lost to Hakeem Olajuwon and the Rockets in the 1995-96 finals where a young Shaquille O'neal was taken to school. After that Jordan came back out of retirement and promptly swept them out of the eastern conference finals. They couldn't win the big one but didn't have enough time to develop, had they had time this jersey might be more iconic than it is now. 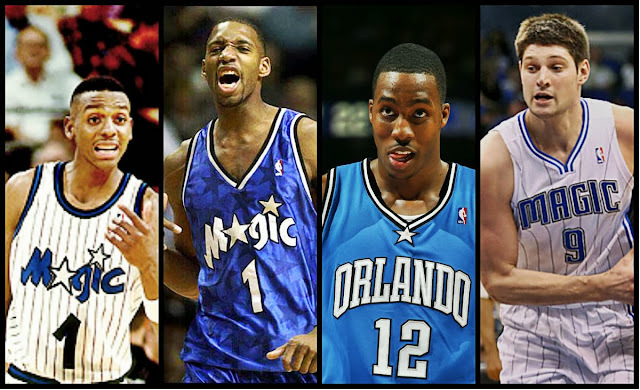 Fast forward to the 2000's and gone were the pinstripes, it was new era with guys such as Tracy Mcgrady and Grant Hill to lead the way in Orlando. These threads are basically just and updated version of the 1990's jerseys just without the pinstripes. The font is still the same and they actually put stars on the side of the alternate jerseys. 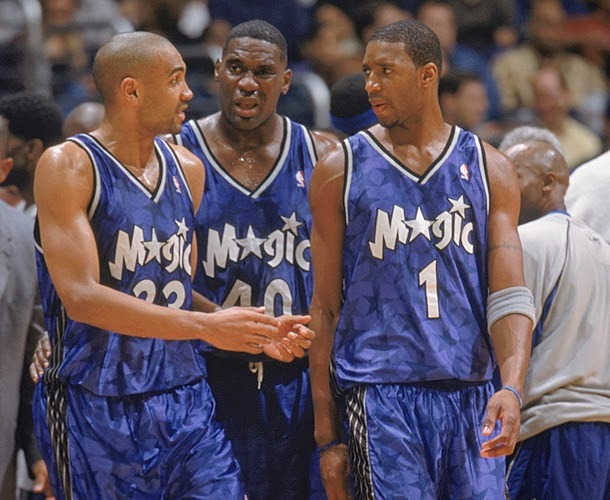 These Jerseys are how I remember the Orlando Magic growing up. T-Mac was arguably the leagues best individual talent in the NBA and barbershop debate between who was better between him and Kobe ensued. These were also the same jerseys where we saw Shawn Kemp and Patrick Ewings career end in obscure fashion. 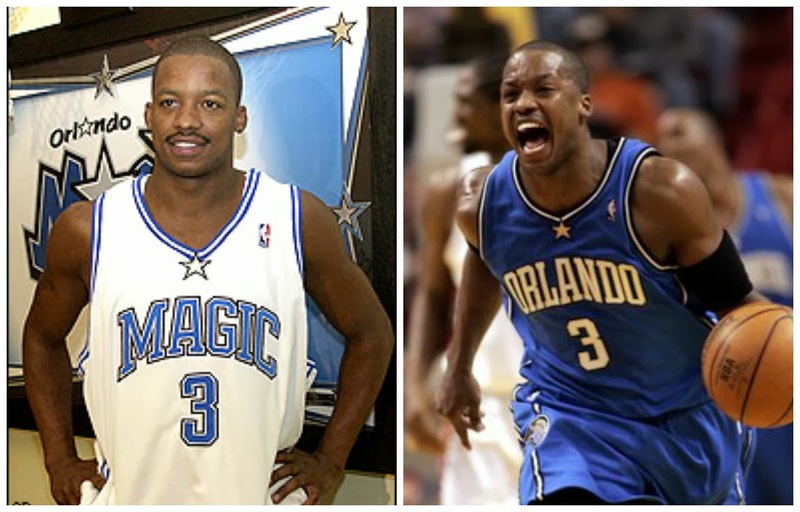 During the middle of the 2000's the Magic were in the rebuilding stage and in many ways their jerseys reflected that. 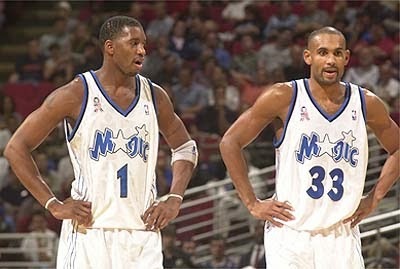 They were very generic no pinstripes, no stars and the font the jerseys would read very plainly “Orlando” and “Magic”. The Tracy Mcgrady era had ended in Orlando and they were in rebuilding mode as they traded for Steve Francis who led the team to some mediocre finishes and the team never made the playoffs in his tenure there. The jerseys were the most plain in the teams history. 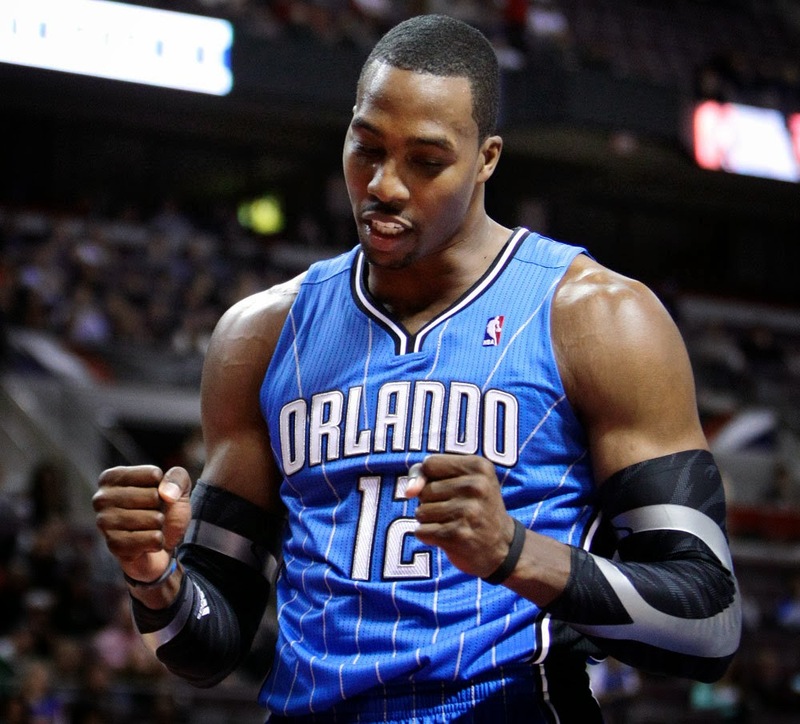 In 2008 while Dwight Howard was still employed by the Magic the team decided to update their look and bring back the pinstripes. This particular jersey made for a hybrid look of the Magics Jerseys from he mid 2000's and the 1990's. Dwight Howard was playing at an MVP level in these jerseys taking the Magic to the NBA finals in 2009 and a conference finals in 2010. Right now the Magic are in rebuilding mode in attempt to restore respect back to Magic basketball and make whats on the front of the jersey mean something again. They have entrusted young rising stars Victor Oladipo and Nikola Vucevic to help out the cause and bring winning back to O-Town. Those Tracy McGrady jersey's are tight. Magic still have the second best jerseys in the league behind Kobe of course. Kobe? His Laker jersey isnt even that cool. The Magic have sick jerseys historically but not in my top 5 all-time.